Last night, I passed the 41,000-word mark in NaNoWriMo, and to say that I am itching to be done would be to say that having poison ivy in your throat is mildly uncomfortable (and believe me, I know of which I speak). I AM SO READY TO BE FINISHED WITH THIS THING. But on the upside, I actually think I like my book. . . I couldn’t have said that last week, when I was very much in the throes of the middle – the middle is always the worst! But now that I’m here, almost at the end, I’m feeling pretty good. For now. Check back with me in five days when I feel like I should probably go into used tire sales because I’m so terrible at this writing thing. So by Friday I may indeed have a 50,000-word draft of a novel, and I am giddy about that, especially since I set a publication date of April 2. (Nothing like a date to put on the pressure.) But even more, I have learned a few things about myself as a writer, things that are really important for me to know as I continue on in this work of words. I can write a lot more than 1,000 words a day if I just sit down, focus, and do it. I easily got to the recommended 1,667 words a day the first couple of weeks, but then, when I started letting days slide because of, well, mostly not wanting to write, I realized I had to make up for lost time. . . and make up I did. The past two days, I’ve written over 2,000 words in the matter of an hour or less a day. The words need A LOT of revision, but they’re down and revisable. I do not like writing seven days a week. I treasure my weekends. For me, writing is my job. Writing books does not make the bulk of my income, but it is part of my paid work. And I need a break from that just like many people need a weekend away from the office or the classroom or the kitchen sinks of other people’s homes. I am definitely a pantser. I am absolutely captivated by the process of finding out what will happen next in my book. I have no desire to know where I’m going ahead of time, and the idea of an outline makes my chest hurt. I love a goal, and if I can gameify it – or better yet have someone else make a game out of it for me – I write more. The NaNo bar graph and the word count averages and completion date stats. . . those more than anything kept me going. And I’m a sucker for a meaningless badge. 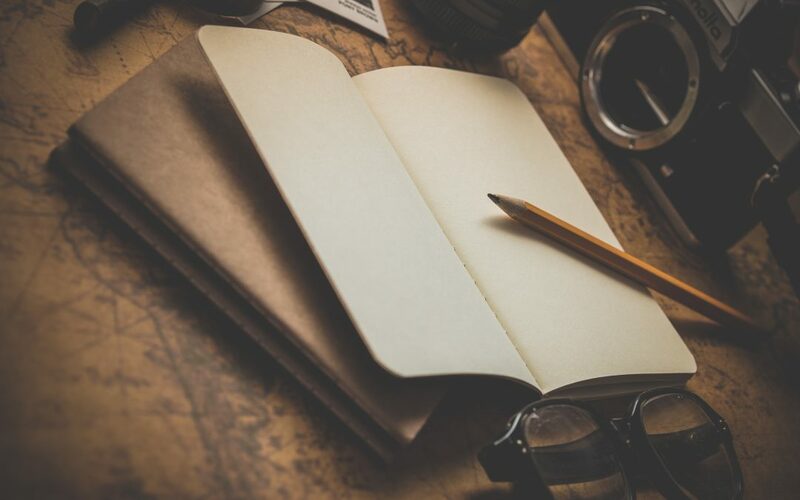 I appreciate the opportunity to connect with writers about the writing life, but the buddy thing doesn’t really do much for me as far as the work itself. I love that I got to know some new writers in a new way, but after the first few days, I didn’t really seek out my buddies at all . . . and none of them sought me either. I am the most easily distracted person on the planet. The internet distracts me. My own ideas distract me. Candy Crush distracts me. That whole on the dead center of the Christmas tree that really needs an ornament, that really distracts me. November is not the best month for me to write a draft, but I did it anyway. My birthday is in November. The anniversary of my mother’s death is in November. Thanksgiving is in November. Those are all times when I typically take time away from work, but even taking some time away, I was able to get the words in. I need to do more videos about writing. I’ve been doing these little check-ins about NaNo over on my Facebook page, and so many folks have responded to them. They’re easy for me, and cathartic on some level, and I should do more because, as my friend Pilar said, it’s nice to see someone’s face and hear their voice. I’m really proud of other writers when they finish this thing. Despite not really doing much with the buddy system within NaNo itself, I have found myself immensely proud of the writers I know who have stuck with this – and even finished early. GO YA’LL! I will probably never do this again. This is true partially because of the weekend thing above, partially because I think I learned some things – about how much and and how quickly I can write, in particular – that I can use anytime, partially because I don’t know that this system would work for me in nonfiction and this may well be the last novel I write. I’m so glad I did this even though I’M SO READY for NaNo to be over. I’ve learned a lot. I’ve got an almost complete book draft. And I now know what all the hype around this thing is about . . . and it’s totally justified in every way. To all you NaNo-ers, finish strong, and tell me when you do. I want to say a hearty congratulations!! How has your NaNo experience been this year or in past years? What did you learn from the experience? 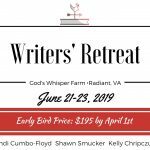 The slate of speakers for the 2019 Writers’ Retreat at my farm is set, and I can’t tell you how I excited I am to have this group of writers come and share their wisdom with you. For all the details about the speakers and the event itself, check out this page. We’d love to have you join us.